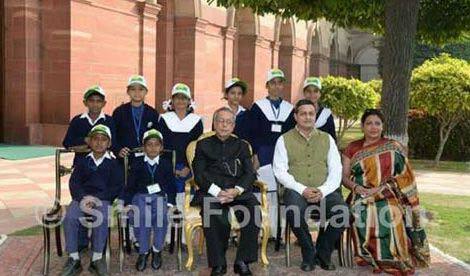 The President of India, Shri Pranab Mukherjee blessed Smile Foundation Children on the occasion of Children’s Day at the Rashtrapati Bhavan. “I used to walk five kilometres to go to my school while I was growing up in my village,” recalled the President while inspiring the children. He also asked the children to maintain cleanliness in their daily life, in their surroundings as well as in school.